Angela has dedicated the last two decades to counseling and coaching executives, stressed out employees, and others around mindfulness and reducing stress, so that they may feel, and thus perform, at their best. Angela is a warm and engaging woman who delivers interactive and inspiring keynotes, corporate training, psychotherapy, and executive coaching. She brings the 3 Es’s to her work: energy, education, and expertise to deliver programs and services that have impact and create results. She has dedicated her life’s work to helping others lower stress, live more mindfully, and become their best selves. She is considered a human behavior expert with a background and experience the in business world combined with her education and expertise in psychology. Angela holds a MS in Counseling Psychology from Georgia Sate University. 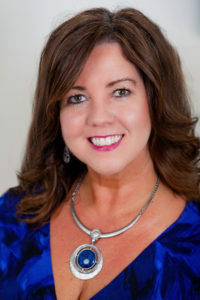 She has worked in corporations in organizational development, corporate training, employee assistance programming, leadership development, management training, and stress management services. She is a certified coach through Lominger International. She is certified in organizational development through Linkeage. Angela is also certified as a health coach through Emory University. She is passionate about her mission of helping others achieve their personal and professional goals. 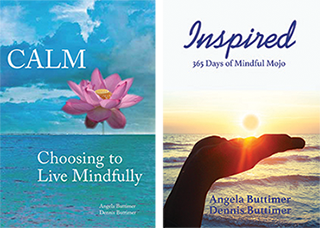 She has authored two books, CALM: Choosing to Live Mindfully (2011) and INSPIRED: 365 Days of Mindful Mojo (2018). As a calling of her heart, Angela has worked with cancer patients for over a decade. She founded the Mindfulness program at Chapman Cancer Wellness Piedmont Healthcare in 2006 and has been developing and delivering programs at the center several times a week since then. She also teaches programs on Integrative Medicine, Writing, Yoga, Positive Psychology, and Emotional Intelligence at the center. She has worked in the integrative medicine/integrative oncology field as a psychotherapist, program developer, and teacher for many years. In 2012, she made it her mission to travel the country teaching other healthcare professionals the importance of implementing mindfulness, compassion, and integrative medicine in the care of their patients and for themselves. Angela has been meditating for over 30 years. She loves yoga and exercise and is a healthy “foodie” who loves to cook and dance in her kitchen. She is a book junkie, has a drive for learning, and is an avid people-lover who connects with others from all walks of life. Call (404) 949-9500 or email Angela today to get immediate help for you or your organization! The Cox Enterprises’ leadership program participants greatly benefited from Angela’s facilitation on emotional intelligence and mindfulness. Her approach was welcoming, sincere and relatable. Based off feedback from the participants Angela provided useful actionable ways to incorporate their learning every day. Angela recently spoke on mindful performance for leadership to a group of executives (in roles related to leadership, transformation, and other strategies around people). Angela led an engaging discussion, sharing helpful tips to apply mindful techniques in our everyday lives and even guided the group through a variety of breathing exercises and meditations. Angela was fantastic, she knows her stuff and made it easy for participants to find practical ways to take action. When action is strategically informed by a mindful, intentional focus, you and your organization are better able to cut through the noise and clutter to enjoy peak performance. Mindful Performance (MP) makes it possible to find calm in chaos. When leadership and employees feel their best, they also perform at their best. This directly impacts the bottom line of the organization. We call this the “return on mindfulness” (ROM). Stress is the #1 health epidemic in the country, and it’s costing American business $330 billion annually. Three out of four employees report that stress is adversely impacting their personal and professional lives. It affects your employees’ mental, emotional, and physical health, and this translates into a lack of productivity, inability to focus and perform, and poor communication and team dynamics. When employees enjoy the benefits of mindfulness, they are more engaged, innovative, and productive. This keynote is excellent for organizations and conferences. The world is communicating at phenomenal speeds and in multiple ways in our modern age. While this communication keeps people connected and informed, the pace and modalities can leave you feeling overstimulated and overextended. Mindful communicators are self-aware, aware of others, and can self-regulate. This program utilizes traditional communication practices while also incorporating unique mindfulness practices to help leaders and employees become master communicators.